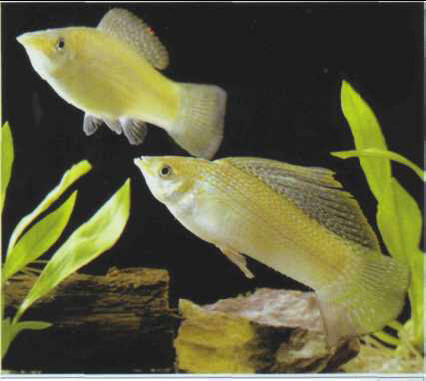 The Yucatan sailfin molly has an overdeveloped dorsal fin. A black variety exists, but it is less common than the "gold"; the latter is rather incongruously named, since it is practically an albino, as its red eyes imply. Breeding is straightforward, and even easier if you raise the temperature a few degrees. The females can produce up to 100 fry. Size: 15 cm. ЦЕРАПАДУС , межвидовой гибрид черемухи Маака и вишни сорта Идеал, выведен И. В. Мичуриным. Плоды в кистях по 3-5, сладковато-кислые, с горечью. Съедобны.